Easter: 5 ways to make it your own. Do you like Easter but you're not religious? Me too. Growing up in Romania in the 90s was a strange time. During communism, any religious celebration - including getting married in church - was prohibited. That changed after the revolution and, although Romania is a secular state, it is one of the more "religious" countries in Europe. But this isn't about Romania - what I'm getting at is that I didn't grow up religious/never have been and I love holidays. So I ignore religious undertones to holidays and make up my own meanings. This gets a little harder at Easter - which is still presented as all about Christianity (and bunnies). So what do we do - especially when starting a family? (Chosen) Family gets together for a meal - homemade or bought, doesn't matter. Pick and choose Easter traditions you like, make them your own. The Easter Bunny? Invite them in! Painted eggs? Go ahead! Chocolate? Every damn day but more on Easter! Who's gonna stop you? This is my own, but you can take it. Give everyone a sheet of paper and a pen. Ask them to write 3 things they are grateful for this past winter, 3 instances where they made a difference/did something good, and 3 hopes they have for themselves during the warmer seasons. Go around your (chosen) family circle (whether it's 2 or 20 people) and have people share as much or as little as they'd like. Everyone helps with clean up. I'm serious about this one. That's it. I hope this helps and may you have a wonder filled spring where you change, grow, and feel connected. We wish you a very happy new year! (if you follow the calendar year). 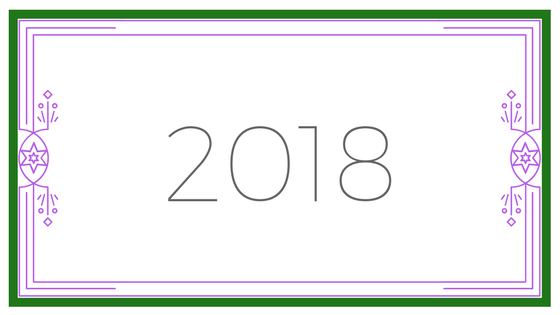 May 2018 be full of growth, nourishment, and meaningful accomplishments - those are our goals at Spectrum Doula Collective. In keeping with that intention, in 2018 we are striving to better serve our community. This means making some changes and additions to our services. We will unveil these every month throughout the year. We decided to drop our prices this year in order to make doula care more accessible to everyone in our spectrum. While $100 may not always seem like a lot of money, for some people it may make the difference between having a doula or not. As doulas, we can work with several organisations in Toronto that match birth and postpartum doulas with folks in need to support that can not afford to pay any fees. This includes newly arrived immigrants, refugees, single parents, and low-income folks. This is pro-bono (free) work and many doulas, including ourselves, are passionate about it. At Spectrum Doula Collective we are adamant about doulas earning a living wage and, at the same time, we want to encourage pro-bono work. Starting in 2018, 10% of the collective share from every birth doula package will be allocated to support a doula in our collective (or partners) doing pro-bono work. This 10% will go towards covering costs such as transportation, parking, gas, childcare, food, etc. for the doula. We recognise that we all have different means and we want to offer additional ways to support doulas doing pro-bono work. When purchasing a birth doula package, if you would like to pay a higher rate than our services for any birth doula package, any amount over our costs will be allocated to support a doula in our collective (or partners) doing pro-bono work. These are our first steps to make a meaningful impact in our community - stay tunes for the rest, coming through 2018! Many years ago, when I was an undergraduate at the University of Toronto, I was invited to a queer holiday dinner, organized and funded by the University College and the Mark S. Bonham Center for Sexual Diversity Studies. 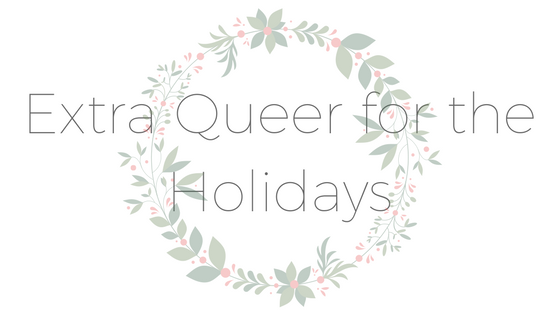 Why a queer holiday dinner? It was for queer students who couldn’t go home, wouldn’t go home, who were not out to their families, and had no one to celebrate with. I don’t know if they still offer this dinner, but every year around this time I think back to it and wonder what all of us are doing now. Now that we may no longer be in school, that we may have lost university connections, that we may have families of our own, and our relationships with the families we grew up in are still fraught. Homophobia during the holidays doesn’t have to only mean being kicked out or being ostracized by the family you grew up in - it can be more subtle than that. Maybe it means your partner (or partners) not being invited for holiday dinner (while the family you grew up in may still want to see your kids! ), maybe it means comments here and there about still being with your partner or finding a nice girl/boy, or maybe it means completely ignoring a huge part of your life as it doesn’t even exist (which you accept, because it’s a huge improvement from being insulted and emotionally assaulted). So many articles and blog posts out there focus on your chosen family - which is amazing! Chosen families can make a world of difference in our lives during the holidays (and the rest of the year). Forming loving and respectful connections outside the families we grew up in is imperative for us as is establishing boundaries with those who still hurt us. So do celebrate with your chosen family (whether it’s one person or 10) and do create new meaningful traditions. Don’t forget to take time to recharge and practice meaningful self care (I’m looking at myself for this one, since self care often means binge watching Grey’s Anatomy while crying on the couch - not ideal). But this season I want to address those of us for whom this doesn’t always work - immigrant queer folks. Having immigrated to Canada, our relationship to the family we grow up in is already different. We often operate within a scarcity environment - a scarcity of us-ness, or people who look and speak like us, who act like us, who sing our holiday songs, and eat our food. This scarcity sometimes makes us closer to our families and makes our queerness even more queer - not only is it about not being straight (or cisgender, or monogamous, etc) but it’s seen as a rejection of that very scarce and very precious us-ness that our parents desperately try to hold on to. Our parents don’t understand, don’t want to understand, or cannot envision a world where they have a queer child and they keep a semblance of their culture and traditions. This hurts us, queer immigrants, doubly as well - and please don’t think that I am implying that our hurt runs deeper than non-immigrant queer hurt. It doesn’t, but it does run differently. Sometimes, we too mourn the loss of that us-ness - unable to envision a world where we can be queer and fully part of the families we grew up in. Sometimes, the hurt stings deeper when we visit for the holidays - trying to ignore their behaviours and comments. Why do we do it? Sometimes, Canadian friends will ask us that - and it’s never easy to answer. We do it because we love our families and that us-ness we cultivated our whole lives, even if we don’t quite fit in anymore. We do it because, often, our families still love us and that love can (for a very little moment) make us forget and make us feel at home. And we do it because our parents are alone, in a foreign country and they too, in a way, are queer. For all of you feeling like this during the holidays, we see you and we understand you. We know that there are never easy fixes - or even any fixes. We send you our love and hope that at some point during the holidays you feel free and loved and cherished, because you are wonderful.